IBPS (Institute of Banking Personnel Selection) conducts a common written exam or CWE every year for the clerical cadre in multiple banks all over the country. All public sector banks use CWE as a base to fill the vacancies for this post. IBPS is conducting Clerk exam for the eighth year now and hence named IBPS Clerk CWE IX. The IBPS Clerk CWE exam is conducted on two levels- preliminary exam and mains. Students qualifying in both these exams are thus selected for the post. IBPS will be releasing the Official Notification for IBPS Clerk 2019 Exam shortly. The Exam dates have been released by IBPS in its recent Exam Calendar for the year 2019-20. 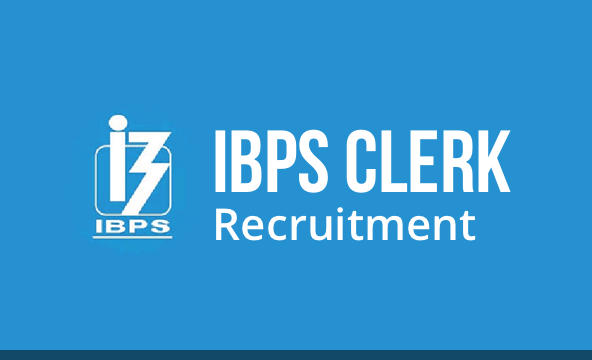 With the release of official notification, IBPS Clerk Recruitment 2019 will start. The Online Registration for IBPS Clerk 2019 will start post release of Official Notification. According to IBPS Official Calendar 2018-19, IBPS Clerk 2019 Prelims exam is scheduled on 07.12.2019, 08.12.2019, 14.12.2019 & 15.12.2019 and mains exam is scheduled on 25.01.2020. IBPS Clerk 2019 is going to be an opportunity for those who have not been able to get through SBI and other Bank Recruitment Exams. IBPS will be activating the online applicable link for IBPS Clerk 2019 Exam shorlty. Candidates are required to click on the link mentioned below to apply for IBPS Clerk 2019 Exam. The total number vacancies for IBPS Clerk 2019 will be released with its official notification. IBPS introduced 7275 vacancies for IBPS Clerk 2018-19 Recruitment. We expect the vacancy to be of the same order for IBPS Clerk 2019 as well. While filling the online application form you are given the option to choose the centre of your preference. However IBPS can allot you a centre other than the choice made by you if there is non-availability of seats at preferred venues. No complaints will be entertained by IBPS in regards to change in the exam centre. Students are required to qualify both these exams to get selected for the post of clerical cadre in most of the premier Public Sector Banks. The main thing to note here is that there is no interview process required for the selection of candidate after the mains exam. 100% weightage is given to the result of mains exam result. The preliminary exam of IBPS Clerk CWE is an online exam testing a candidate on the basis of their aptitude, intellect and English. There are three sections in total and the candidate must clear the cut off of each section to proceed to the mains exam round. Candidates are required to solve the question paper in the time frame of 20 minutes for each section. The composite mark of the paper is 100 and the passing marks is decided by IBPS that is likely to change every year depending on the level of difficulty of the exam. Major changes have been observed in the Exam Pattern of IBPS Clerk 2019 Exam. IBPS Clerk Mains Exam will now constitute of 190 questions that needs to be completed in a time frame of 160 minutes. Previously, Computer Aptitude and Reasoning Ability Section used to be conducted separately. But, in the recent update by IBPS, both these sections are amalgamated together and will constitute of 50 questions that needs to be solved in a time duration of 45 minutes. Both Preliminary Exam and Mains Exam will be conducted bilingually, i.e. both in English and in Hindi. Let’s have a look at the Exam Pattern for IBPS Clerk CWE VIII. There is a penalty for wrong answers marked in both preliminary examination as well as mains examination. A wrong answer to an objective question will lead to a penalty of one-fourth of the total mark assigned to that question. There will be no penalty for the question left blank or unanswered. • Marks obtained in the Preliminary Exam (Phase-1) will not be considered for final selection. • Candidates must qualify Phase-2 to be eligible for final merit. • The aggregate score out of 100 is used for the final merit list for each category.Candidates with top merit rank in each category are finally selected. The major three sections of the preliminary examination are Reasoning, English Language and Numerical Ability. Each of these sections has multiple subheadings to focus on when preparing for IBPS Clerk CWE. The syllabus for Numerical Ability / Quantitative Aptitude and English Language is same for mains and preliminary exam. In addition to these two the other subjects are General / Financial Awareness and Reasoning & Computer Knowledge. The General Awareness is based on the Banking Sector awareness. • Age Limit (As on 01.09.2019): The candidate must be 20 Years to 28 Years. The final criteria for IBPS Clerk Exam 2019 will be released along with the official notification. Agartala, Agra, Ahmedabad, Allahabad, Amritsar, Aurangabad, Balasore, Bareilly, Behrampur (Ganjam), Bengaluru, Bhopal, Bhubaneshwar, Chandigarh, Chennai, Coimbatore, Dehradun, Dhanbad, Gorakhpur, Gulbarga, Guwahati, Hubli, Hyderabad, Indore, Jabalpur, Jaipur, Jammu, Jodhpur, Kanpur, Karnal, Kavaratti, Kochi, Kolkata, Lucknow, Ludhiana, Madurai, Mangalore, Mumbai, Muzaffarpur, Mysore, Nagpur, New Delhi, Panaji (Goa), Patiala, Patna, Port Blair, Puducherry, Pune, Raipur, Rajkot, Ranchi, Rohtak, Sambalpur, Shimla, Shillong, Siliguri, Thiruchirapalli, Thiruvananthapuram, Tirupati, Vadodara, Varanasi, Vijaywada and Vishakhapatnam. The Bank may add additional centres or may remove some of the centres indicated for training. Candidates opting for pre-examination training should download their call letter for training by entering their registration number and password/ date of birth from Bank's website. No hard copy of the call letter will be sent by post. The IBPS Clerk 2019 application form can only be filled on the official website. The link to download the admit card will be provided on this page. Candidates are advised to check the details on the admit card before downloading. IBPS will declare the results after completion of each phase of examination. The final state wise merit list and category wise merit list shall be prepared in descending order of the marks secured by candidates in their online mains examination. Candidates who fall in the prescribed merit list will then be considered for appointment for the post of clerk in Banks. Candidates must also go through previous years’ IBPS Clerk question papers in order to acclimatize to the change in pattern of the exam and to know the sections from which the questions are majorly asked in the exam. Follow bankersadda.com to get all study materials in new pattern. Apart from test series you can also join any Coaching or online test series for self assessment and better exam preparation. Career Power Classroom Programs are most extensive coaching program in Banking and SSC verticals in India. Out of every 5 students enrolled in our classroom program, 3 got selected for Banking or SSC jobs in 2015-2016. You can enrol to one of our centres in your respective cities and give a kick start to your preparation. Career Power provides online test series for various banks and SSC exams like IBPS PO, IBPS Clerk, BANK PO, SBI PO, RBI, NABARD, SSC, CGL, SSC, CHSL etc. These test series are well researched and perfectly emulated for the exact exam pattern. Practice Papers are prepared keeping in mind the last years exam pattern and expected changes in the pattern and level of questions. IBPS has released IBPS Clerk Prelims Cut-Off & Score Card. Candidates can check the cut-off by clicking on the link mentioned below. The Prelims Cut-Off and Score Card will help candidates analyze their score and compare with the score of other candidates. • Is the IBPS Clerk exam Bilingual? • Is there Negative Marking? Yes, there is a negative marking for wrong answers in both preliminary test and mains exam. One-fourth of the total marks will be deducted for the question marked wrong by the candidate. • Are there fixed timings for different sections? Keeping in mind the IBPS Clerk 2019 exams, we are launching various Test Series (PRE+MAINS), Classroom Programs and Seminars to guide you through your preparations. According to IBPS Clerk Official Notification, IBPS Clerk 2019 Prelims exam is scheduled on 07.12.2019, 08.12.2019, 14.12.2019 & 15.12.2019 and mains exam is scheduled on 25.01.2020. IBPS Clerk 2019 is going to be an opportunity for those who have not been able to get through SBI and other Bank Recruitment Exams.